First we had Nascar Meats. Now the racing league has teamed up with Harlequin to publish Nascar romance novels. 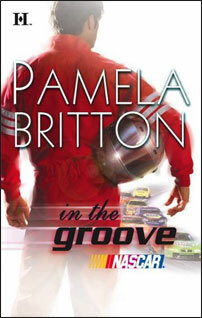 The first, titled In the Groove, by Pamela Britton, is in stores now. The plot involves a former kindergarten teacher, Sarah, who drives the team bus of a Nascar driver, Lance. (“Whenever he comes near her, she turns hot as race fuel.”) Apparently, Nascar’s 70 million fans include some 30 million women—an untapped market for Harlequin. Says a rep there: “I know people think this is funny, but we’ve had love stories set in hospitals, in wartime, and all over the world. So why not in Nascar, too?” Nascar driver Carl Edwards couldn’t agree more. “When they first told me that there was going to be a Harlequin romance novel about Nascar, I said, ‘You’ve got to be kidding,’ ” he says. “But I’ve since seen women at the racetrack, sitting there, reading these books. So if you’re going to be reading a romance book, you might as well read about auto racing.” Upcoming titles include On the Edge and Dangerous Curves.